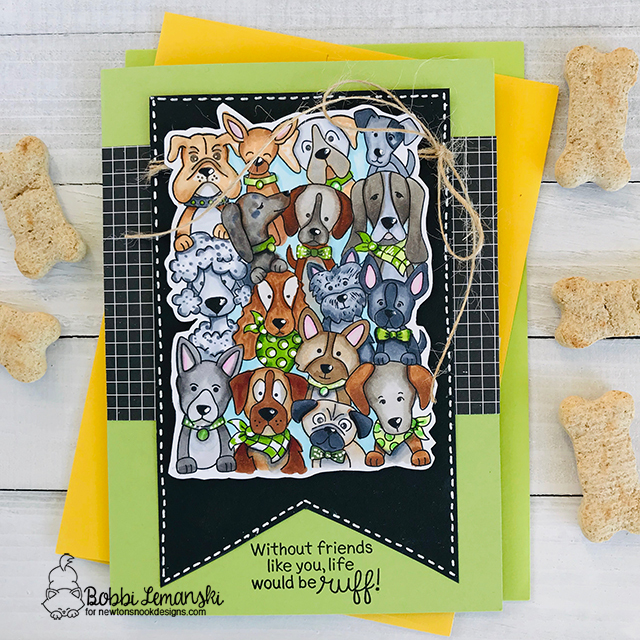 Doggone it…You have one more week to participate in the Inky Paws Challenge #95. 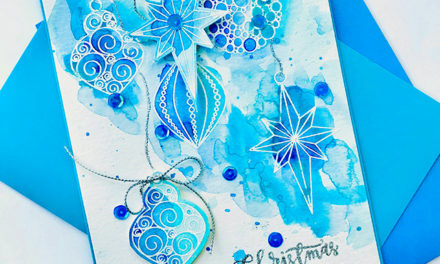 It’s a sketch challenge and today I’ve got another card to share with you. I hope it inspires you to join in on the fun. 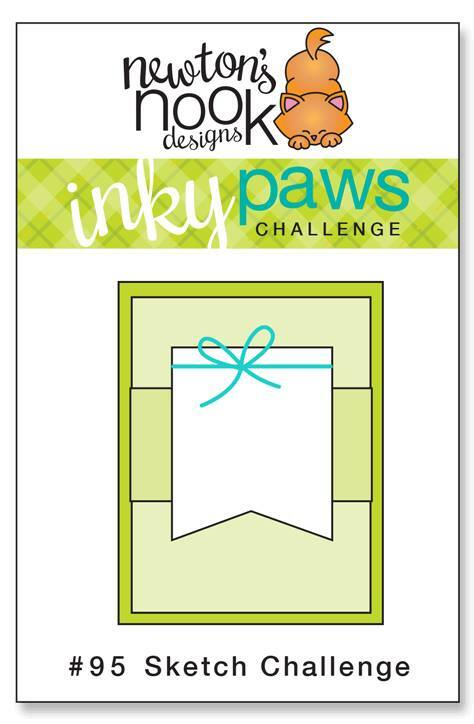 The Inky Paws Challenge only requires that you use Newton’s Nook products for your project to be eligible to win. Details on on the challenge can be found here. Link by this Friday, April 19 to enter to win. 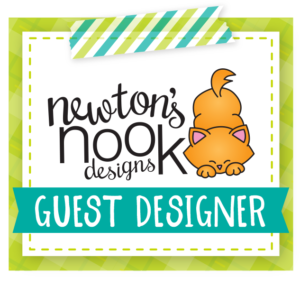 One random entry wins a $20 credit to the Newton’s Nook store! 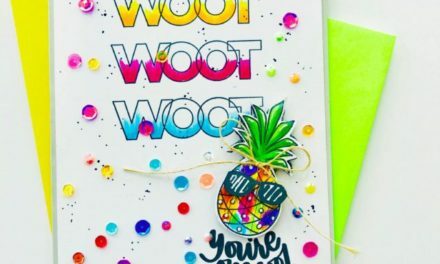 To create this card, I used stamp set, Wolf Pack , some pattern paper and hemp twine. Here’s sketch #95. Join us this week and check the site for more inspiration from the rest of the creative IPC team, too! Thanks for visiting! Paws a moment today and appreciate the beauty around you. 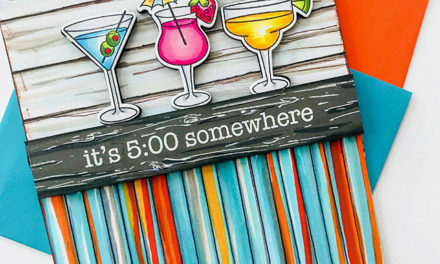 PreviousHappy 4th BEEday Release begins today! This is so cute! 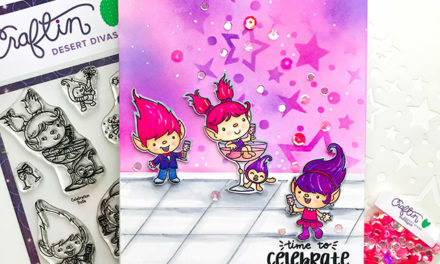 I love the coloring on all those dogs and the way you used the sketch is super fun!